Whether residential or commercial, movements joints are not voluntary – they are mandatory. In the world of construction, everything is constantly moving. We need to accommodate this movement to prevent materials from destructive failure. 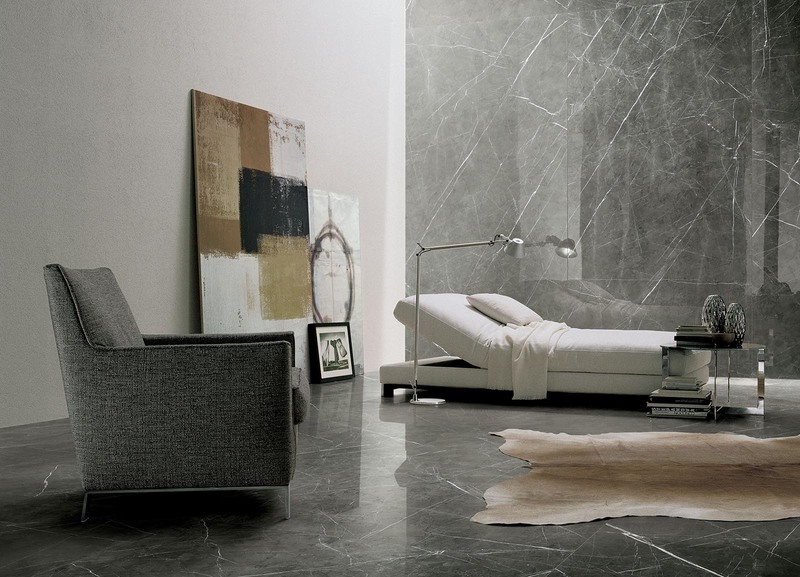 Take tile for example, ceramic and porcelain tile by its very nature is extremely dense and strong, making it an excellent choice for finished floor and wall coverings. However, by the same token, it is not very flexible. For this reason, movement joints are critical to the success and longevity of the tile assembly. Whether it’s thermal, shrinkage, freeze/thaw, or structural movement, tile and stone installations are constantly subjected to these types of conditions. Not incorporating movement joints into the installation will almost certainly guarantee cracks and tenting in the long run, leading to costly repairs. A “movement joint” is a general term used for all types of joints seen in construction materials that control and allow movement. Generally, they contain an appropriate pliable sealant – typically silicone or urethane – also referred to as a ‘soft’ joint. 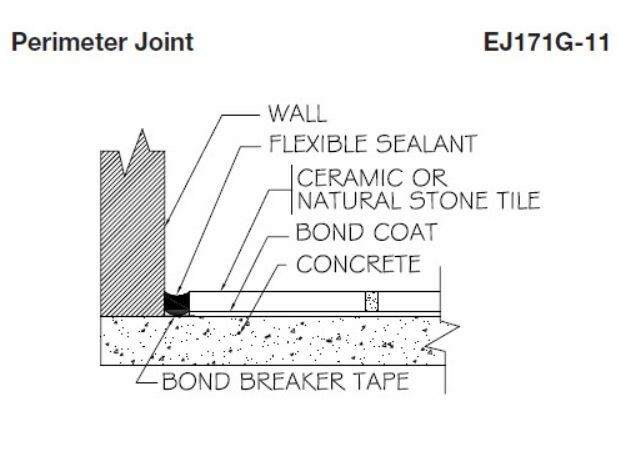 In the diagram below, this is considered an expansion joint due to the full depth assembly. The Tile Council of North America (TCNA) provides general movement joint guidelines for tile and stone applications. 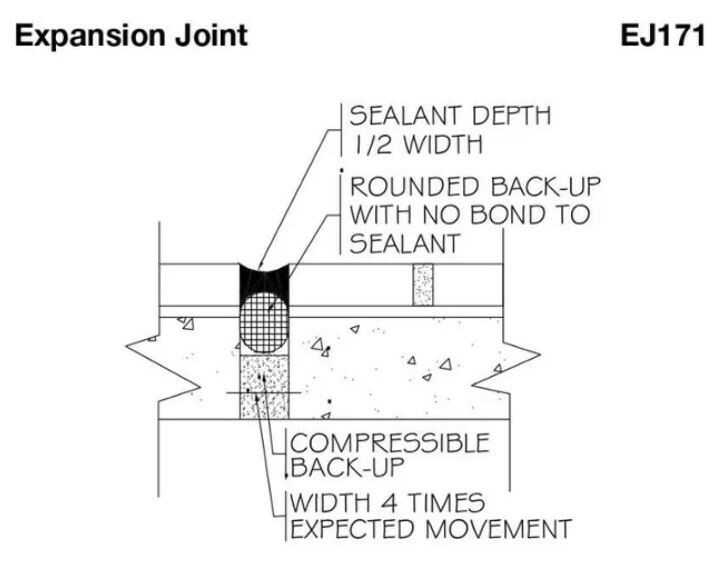 This section is called EJ171 Movement Joint Guidelines for Ceramic, Glass, and Stone. The general rule is that movement joints should be utilized at the perimeters of tile installations and at all transitions of planes and/or different materials, as well as within the field of tile. Inside vertical joints on framed walls should have movement joints, not grout. Bathtubs and shower receptors that transition to tile should also have a movement joint. TCNA EJ171 states that movement joints for interior applications should be placed at least every 20’ to 25’ in each direction unless the tile work is exposed to direct sunlight or moisture. In that case, movement joints should be placed at least every 8’ to 12’ in each direction – the same for exterior applications. This section also states that all underlying movement joints in the substrate need to continue through the tile assembly. This means that in addition to honoring the substrate movement joints, the tile assembly needs additional movement joints. If there is a mortar bed over the substrate, then the movement joint must be continuous through it to the tile surface, which is considered an expansion joint. If the tile is being bonded directly to the substrate, and there is no substrate movement joint continuing up from beneath, then it is called a generic movement joint. Because of the dynamic nature of building materials, the tile assembly must also accommodate and remain flexible. To ensure a long and successful installation, strategically incorporating movement joints and using the proper types of sealants are a must – not an afterthought. Remember, for assistance on any of your technical needs, contact any member of the QA&T Team. We’re here to help.